When you’re a new parent, it’s only natural that you will be concerned with making your new arrival’s sleeping environment safe and comfortable. After all, in those precious few months, your baby will spend up to 16 hours in their crib per day. That’s good motivation to try to make the very best choices possible for their health and wellbeing. 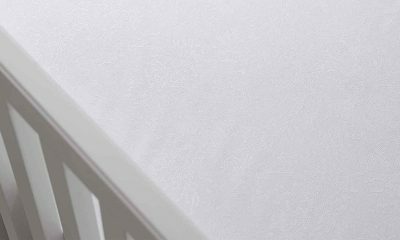 When you’re shopping for best waterproof crib mattress protector pad, there is a lot of choice on the market. While this level of variety is great, it can feel overwhelming and leave parents wondering: which model is the safest? Which will provide us with both comfort for our baby and good value for money? Never fear, because help is at hand! Here at Sleep Reports, we take the comfort and health of your family extremely seriously. 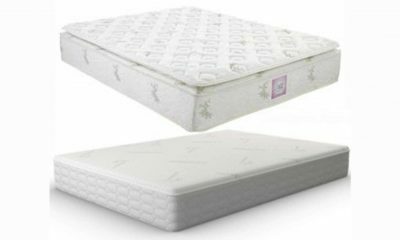 Our experts have been working around the clock to hunt down the very best waterproof crib mattress pads and create a comprehensive review. 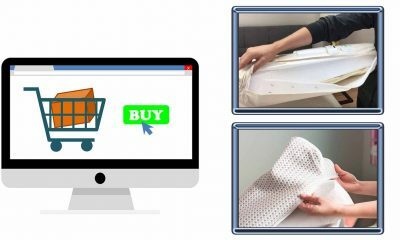 This will give you all the information at your fingertips to make an informed informed decision to choose the best possible waterproof baby crib mattress protector pad/cover for your child. So, read on for our handy guide! 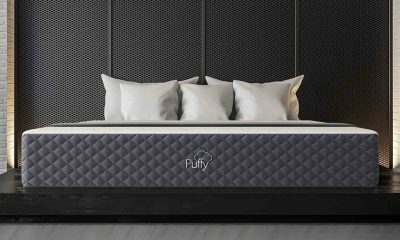 So, now you know what to consider when choosing the best baby waterproof crib mattress pads, you’ll probably be wondering which are the best products on the market at the moment. 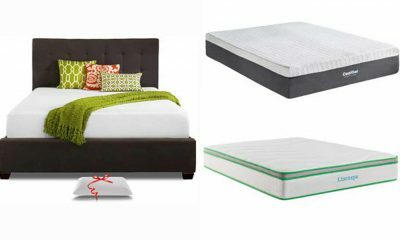 Here are the latest reviews of the 5 best waterproof crib mattress protectors. We love the Naturepedic brand for crib products as they are certified as being 100% organically-certified cotton. Not only are they GOTS certified, they have also achieved the prestigious GREENGUARDcertification. This gives parents the assurance that their baby is sleeping in an environment free from any toxic chemicals. In fact, the only part of this mattress protector that isn’t completely organic is the waterproofing. However, as this mattress is so highly certified, you can be sure that the waterproof layer poses no risk to your baby’s health. This baby mattress pads is a standard size at 52” x 28”. Excellent waterproofing, providing great protection against any spills or wetting. If you’re keen to purchase a product from an American company, then this may well be a great choice for your little one. 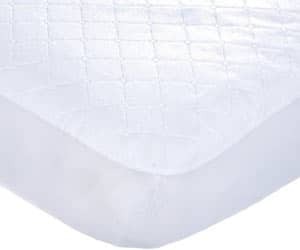 This great crib mattress protector pad offers superior waterproofing whilst giving the toxin-free benefits of an organic pad, as this model is GOTS certified. Like the previous option, it fits a standard crib mattress measuring 52” x 28”. Therefore, chances are it will fit your baby’s bed perfectly. You’ll be pleased to know that this model has proved very popular with moms and dads, and for good reason. No rustling sound if you have a wriggly baby! With over a hundred years-worth of experience, Sealys know a thing or two about what makes perfect bedding for a baby. Furthermore, their super mattress pads are made from cosy cotton. 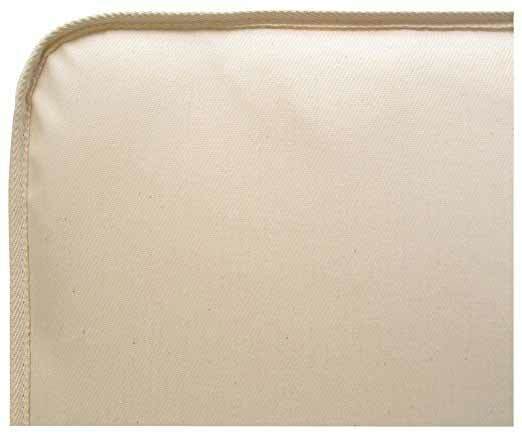 This allows the pad to breathe, preventing your little one form overheating. This product has attracted great consumer reviews from purchasers. We love that this pad comes as a 2-pack, as having a spare gives added convenience for frazzled new parents. 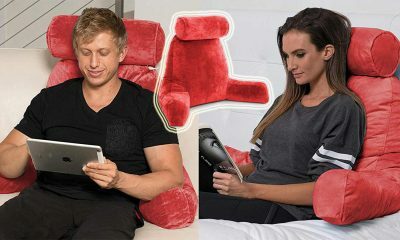 This is also a great purchase for parents wanting to support home-grown companies, as it is manufactured in the U.S.A. 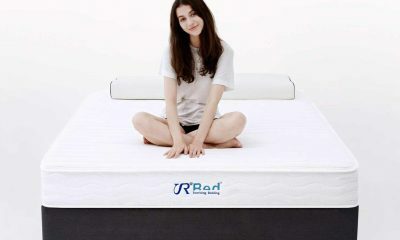 It is designed for a mattress size 52” x 28”, which is standard. 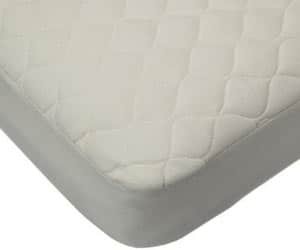 Some users have complained that elements of this mattress pad melt on a hot wash.
On a budget? No problem! The Carter’s Keep Me Dry Mattress Pad is easy on the wallet, whilst still providing great waterproof protection against spills and wetting. Carter’s have an excellent and established reputation as manufacturers of children’s textiles. The filling is made of vinyl, which provides excellent waterproofing. 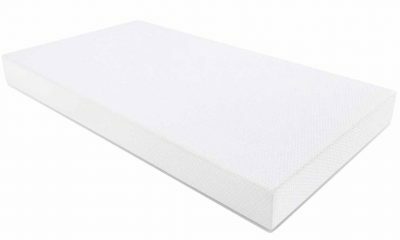 This prevents the health and safety hazards associated with a wet crib mattress.However, as an imported product it is not made in the U.S.A. Again, this fits a mattress measuring 52” x 28”. If you liked the sound of American Baby’s organic offering, but not the price tag, then this could be the product for you. This model allows you to have all the great features synonymous with this brand, but on a budget that won’t make your eyes water. Made of vinyl and polyester, this gives great waterproof protection against any little accidents. 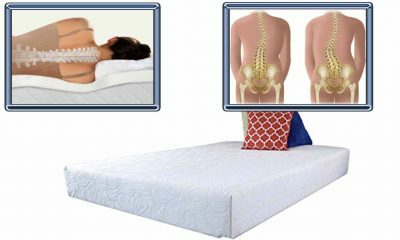 It is designed for a mattress size 52” x 28”. As we’ve mentioned, Carters have an excellent reputation when it comes to manufacturing excellent baby textiles. This offering is 4-ply, which means it can take more wear-and-tear. 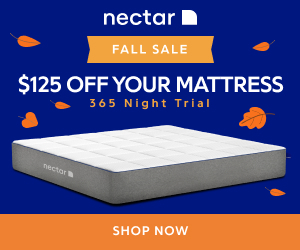 It consists of a super-pillowy cotton topper, and then a polyester stuffing.However, please note this is not manufactured in the U.S.A. Again, this fits a mattress measuring 52” x 28”. 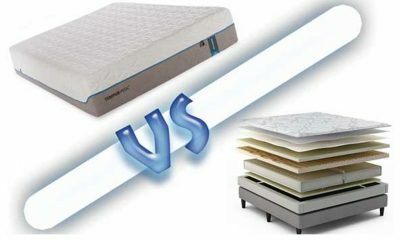 How to Choose a Good Crib Mattress Pad? Let’s just get it out there. Any new parent will tell you that with that gorgeous little bundle will also come a lot of pee and poop. 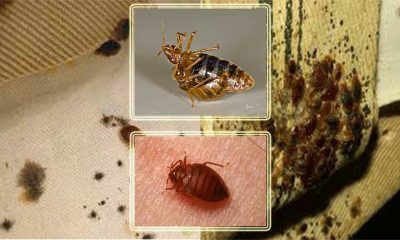 Inevitably, some of this will get onto your baby’s bedding, and obviously this is not ideal for sanitary reasons. Firstly, if it soaks into the mattress, it creates an infection risk and threatens the health of your baby. Furthermore, any moisture in your baby’s mattress can cause mold or mildew to form in a matter of weeks. Of course, this is not safe for your baby to be sleeping on. 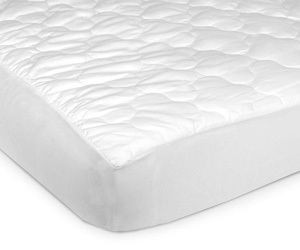 A waterproof crib mattress pad protects the mattress from moisture, soiling or spills. Plus, it’s much easier to clean the pad than it is to clean the whole mattress. Let’s be honest, when you have a new baby, the costs can quickly add up. 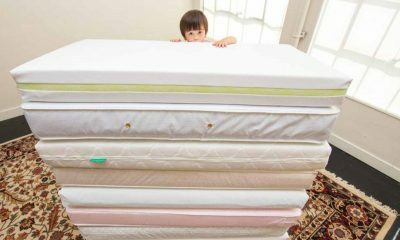 If you’ve shelled out on a high-quality crib mattress, the last thing you want is to be forced to purchase a new one when it becomes soiled. 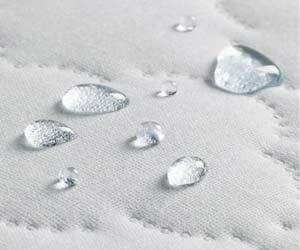 Therefore, it’s probably worth the extra financial outlay on a waterproof pad to prolong the life of the mattress. 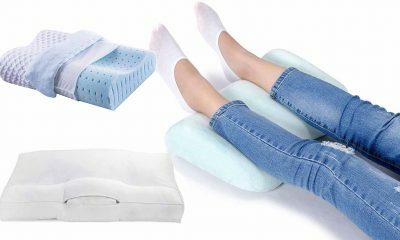 Furthermore, you may well find that you are able to afford more than one waterproof pad, so that you can rotate them while the other is being cleaned. Waterproof crib mattress cover create an extra comfortable cushioned layer on top of the mattress. 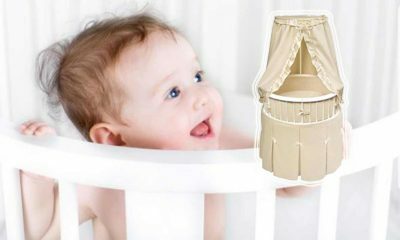 Therefore, it offers your baby extra comfort while they’re snoozing peacefully in their crib. Furthermore, if you’ve purchased a waterproof mattress, the plastic-y covering can rustle and wrinkle against your child’s skin. 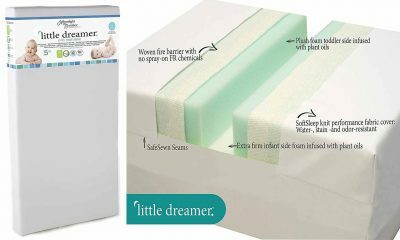 A mattress pad provides a more comfortable option for your little one. 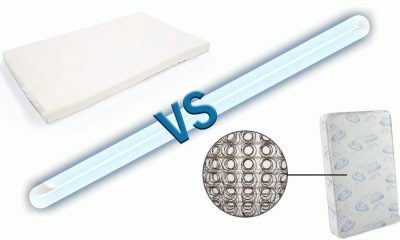 What Makes A Great Waterproof Crib Mattress Pad? Unfortunately, not all baby crib mattress pads are created equal. While there is a lot of variety on the market, there is also a lot of variety in terms of quality. However, there are many excellent models on the market, and you don’t necessarily need an enormous budget to be able to afford a great product. 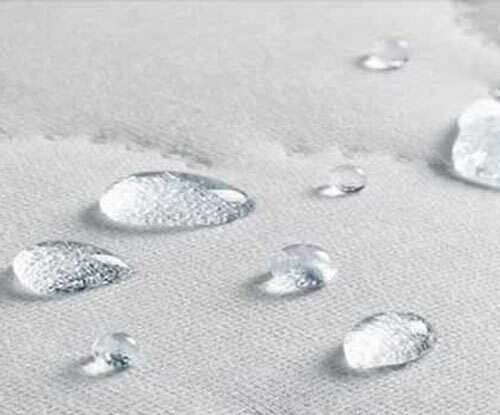 So, how’s a parent to know what makes a great waterproof mattress protector/pad? 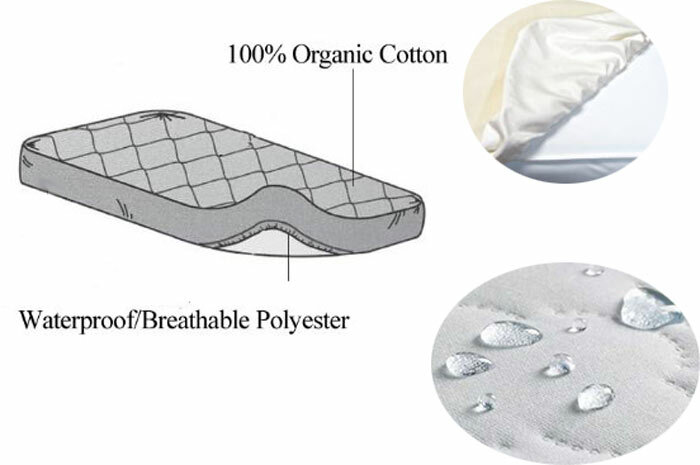 Sorry to say, if you want a completely waterproof baby mattress pad, you won’t be able to purchase an organic model. Why? That’s because the waterproofing layer simply can’t be manufactured in an organic way. Instead, you’ll have to settle for ‘water-resistant’, which can be achieved organically. With that in mind, why go organic at all? Well, it all comes down to safety. If you buy an organic product, you can be guaranteed that it is free from any toxins or harmful chemicals that could pose a hazard to your baby’s health. However, be prepared to pay for it. Unfortunately, organic products come with a much higher price-tag. If you go organic, be sure to check it has GOTS certification. We’ll touch on this more later on in the article. 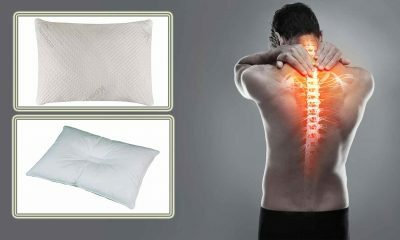 If you’re on a tight budget, a non-organic mattress pad is a much less pricey option. Some parents worry that opting for a non-organic product will expose their baby to toxins. However, it’s worth bearing in mind that many products use less than desirable chemicals in their manufacturing processes, so it is tricky to fully protect your child from them in any event. If you’re worried, then the GREENGUARD certification is a great feature to look for, as we will explain in the next section. 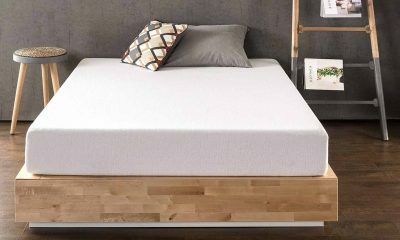 GOTS: This guarantees that the mattress is organic, and requires a very high level of compliance with the official guidelines. GREENGUARD: The GREENGUARD certification gives you reassurance that the product releases extremely low levels of toxins into the air, providing your baby with a healthier sleeping environment. 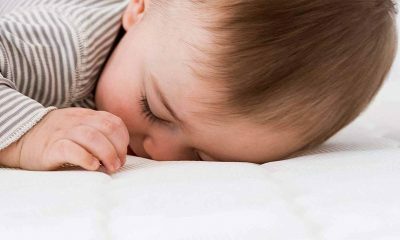 Hopefully, now you’ve read our 5 best waterproof crib mattress pads, you’re one step closer to identifying the make and model that’s perfect for your little one. If you’ve decided to plump for organic, you now have several great options that will ensure your baby can sleep in a fully toxin-free and healthy environment. However, don’t worry if you just can’t afford to go organic. As you can see, there are many great non-organic options that still give you great waterproof protection while maintaining a very high level of safety. Remember, quality waterproof crib mattress pads really don’t have to cost the earth. Please remember our advice that it is well worth purchasing a spare. 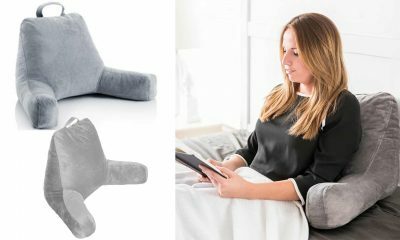 This adds an extra level of convenience for time-strapped (and sleep-deprived!) new parents. 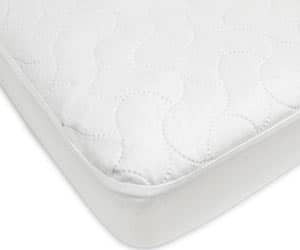 This way, you can wash one mattress pad at your leisure, with a fresh one ready to go whenever you need it. Also, please remember to be careful when washing your baby crib mattress cover. As you can see, due to their waterproofing elements, waterproof pads can and do melt in the wash. Therefore, your best bet is a nice cool cycle. Don’t forget that drying is important too! A very cool tumble dryer setting or, even better, air drying will protect you purchase from melting in the heat. Now, your precious bundle can enjoy a dry, safe and comfortable night’s sleep, while you can rest easy knowing their mattress is fully protected .So, to your little one, sweet dreams!